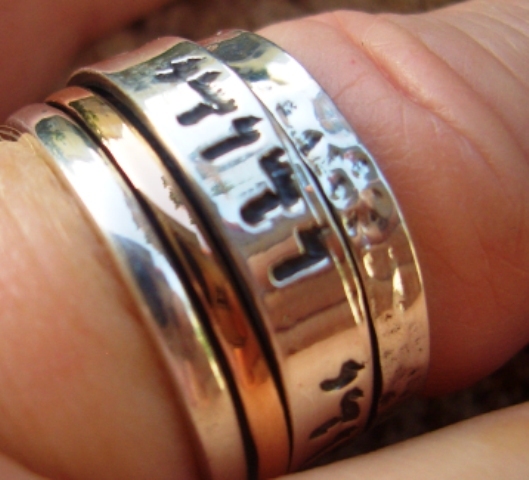 Ani le Dodi love ring.Hebrew verse love ring. 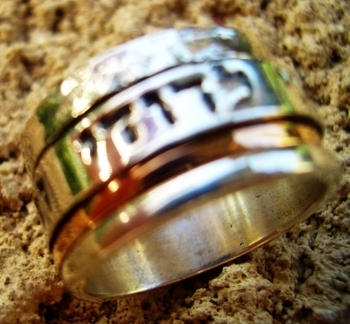 A lovely spinning ring in silver and gold - engraved with an hebrew love verse - I have found the whom my heart loves. These very special ring is perfect to put on the finger of yourself or your love or spouse, with the ancient words, as well as the symbolic ring. Can be chosen as a love, promise or wedding ring.